Prominent & Leading Architect / Interior Design / Town Planner from New Delhi, we offer rest stool. 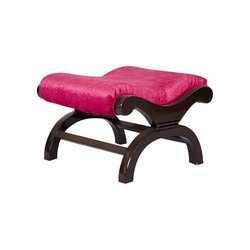 Our client can avail from us an optimum quality assortment of Rest Stool at very reasonable rates. Solid teak wood high back resting chair with leg rest stool in light maroon fabric and brown PU polish.